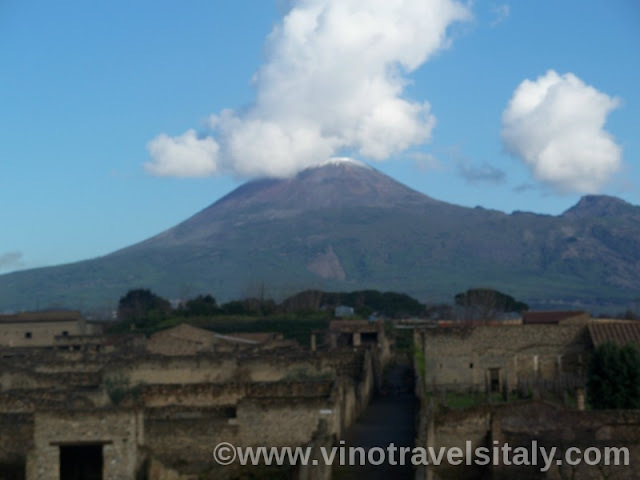 If you're not familiar with #ItalianFWT we are a group of bloggers that share our experiences monthly of various Italian regions throughout Italy. 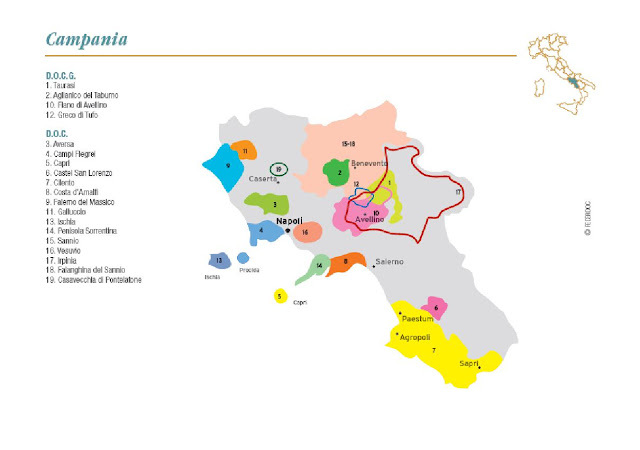 This month is our 8th event as we feature Campania and the food, wine and travel of this region. Campania is located in southern Italy and is actually considered the “Gateway to the South” or also known as Oenotria, the “Land of Wine”. To the northwest is Lazio, to the south is Basilicata, to the east is Puglia and northest is Molise. Many folks may be familiar with Campania if you've been to the well traveled Amalfi Coast or even the capital, Naples, and the historic town of Pompeii. In Campania you can visit the islands of Capri and Ischia, the Gulfs of Salerno and Naples or the volcanos of this region, Vesuvius or Campi Flegrei. 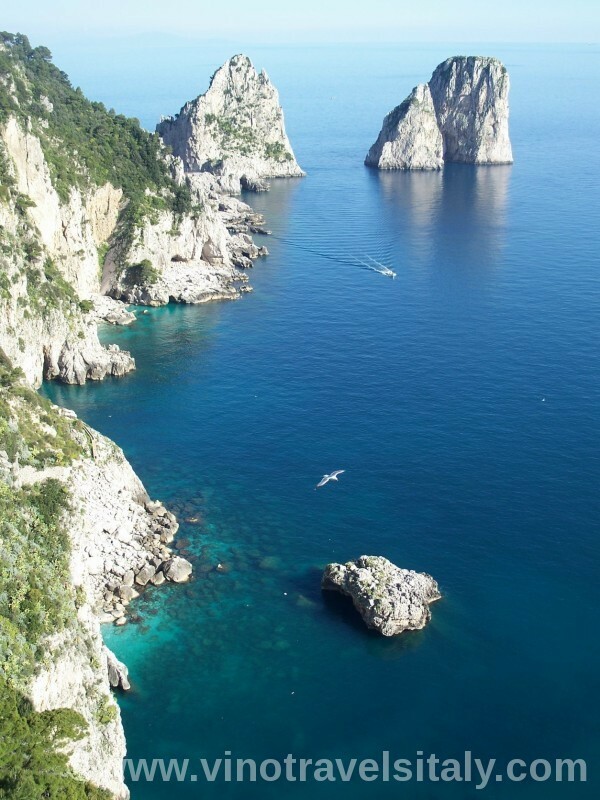 This region has plenty of beautiful sunshine and dry weather with breezes off the Tyrrhenian Sea. This was a Greek colonization and considered part of the “Magna Grecia” or extended Greece and was later invaded by the Romans. As we travel more south the influence of the Greeks and other cultures are more prevalent. This region is rich in citrus groves, especially the massive lemons of Sorrento, mozzarella di bufala and San Marzano tomatoes on the famous Neopolitan pizzas, hazelnuts, artichokes and chestnuts. Some of the top whites grapes of the region are Fiano, Greco, Falanghina, Coda di Volpe and red grapes are the well known aglianico and also piedirosso. Our blogs will be live Saturday June 6th and we'd love to have you join our online Twitter chat at #ItalianFWT at 11am EST/5pm Italian time. If you'd like to participate and join us as a blogger or are a winery or company from a featured region and also want to partner with us for the future please email me directly at vinotravels at hotmail dot com.